Gartner has named Salesforce as a leader among digital marketing hubs. See complete report for details. 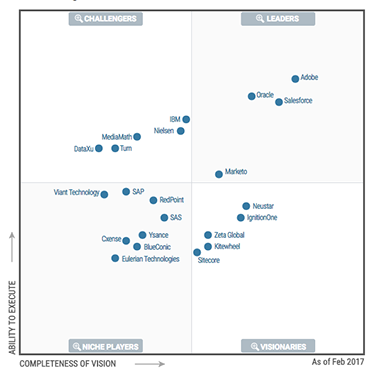 Gartner Magic Quadrant for Digital Marketing Hubs, Andrew Frank, Christi Eubanks, 14 February 2017.